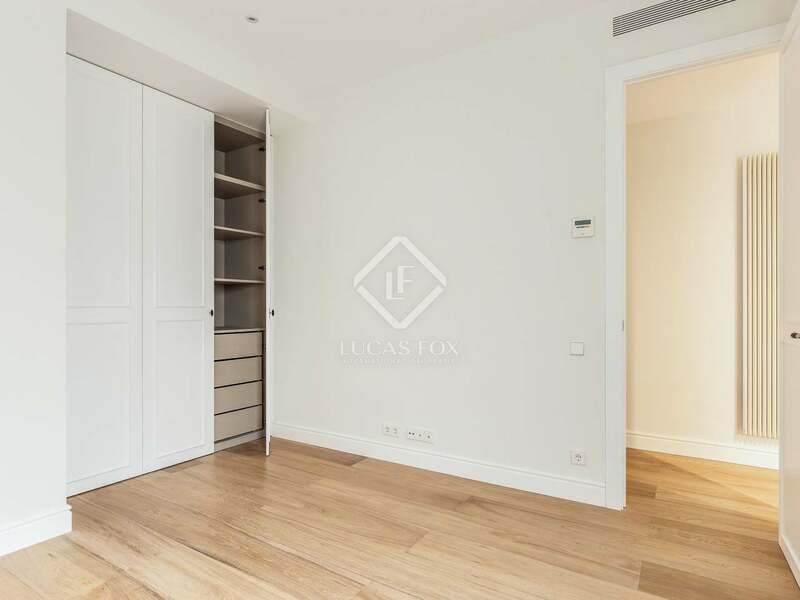 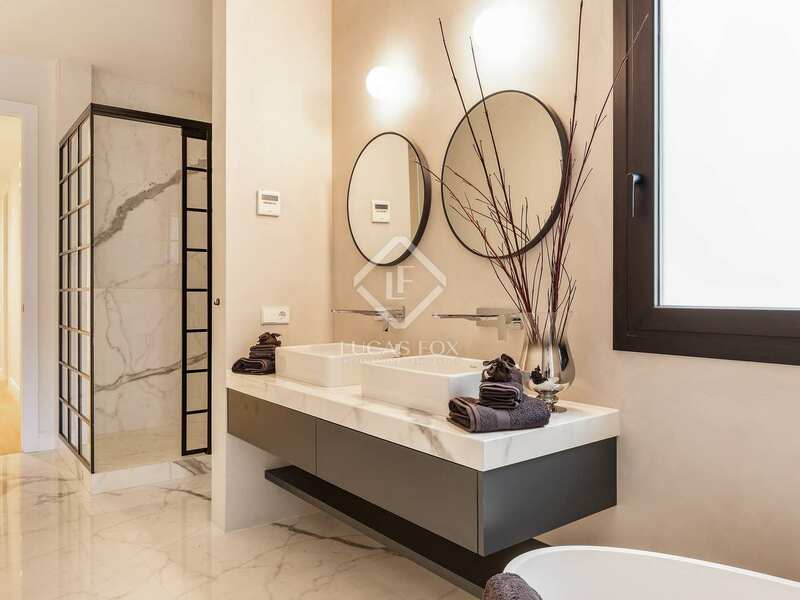 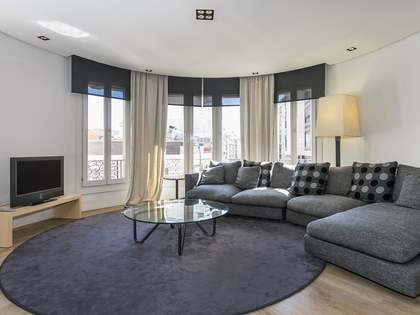 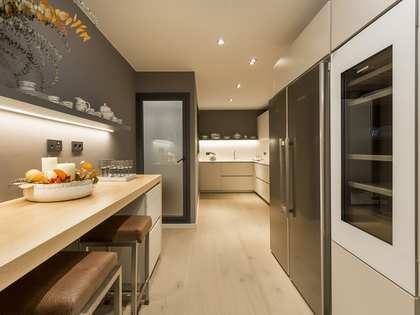 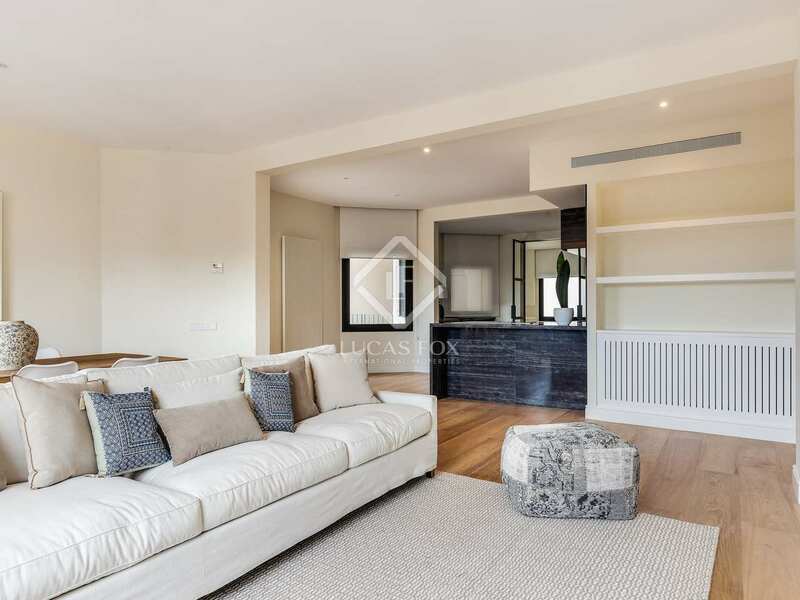 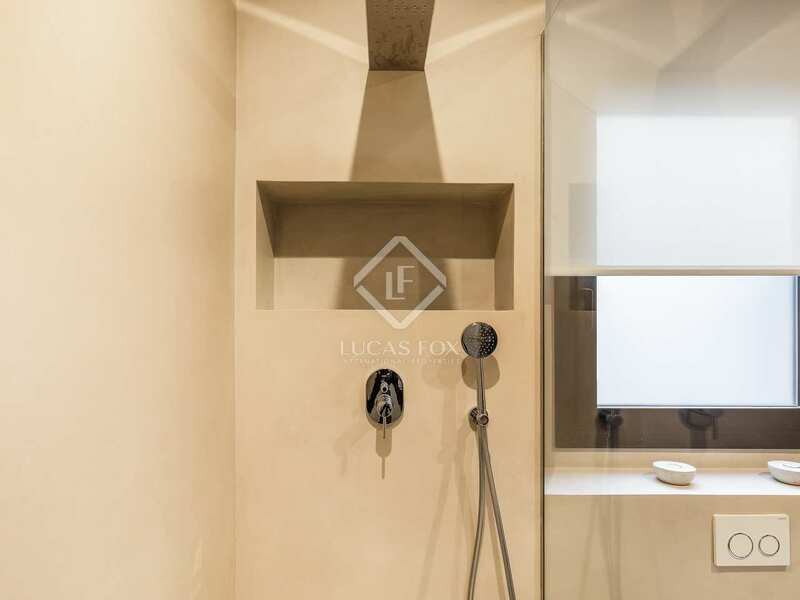 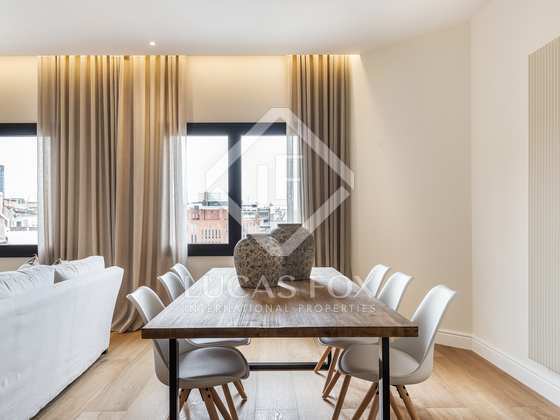 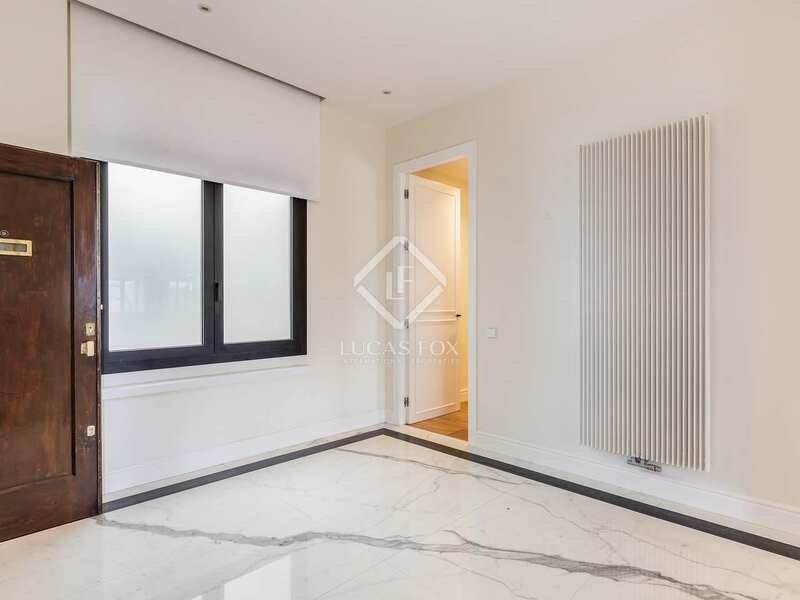 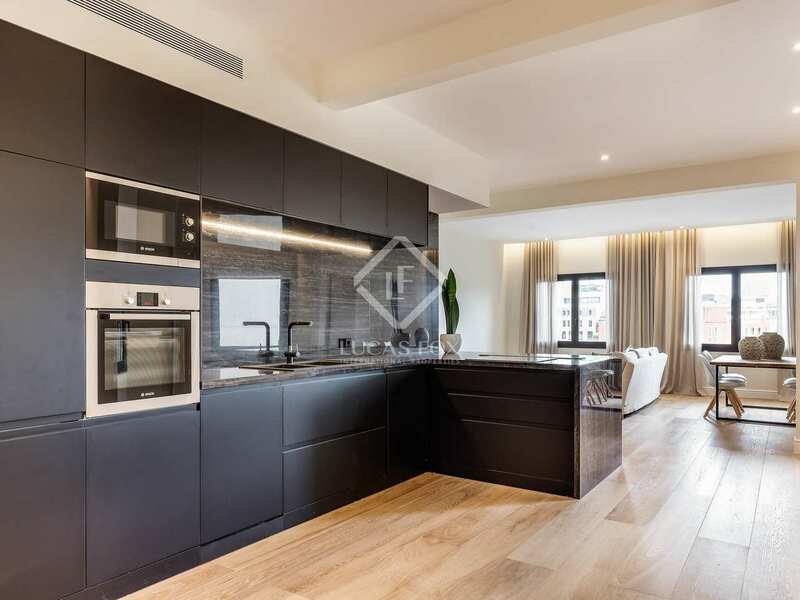 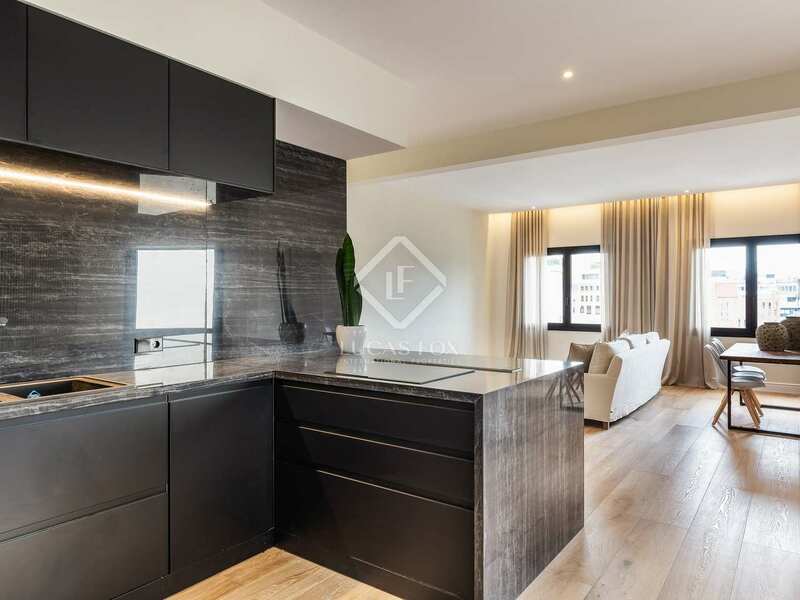 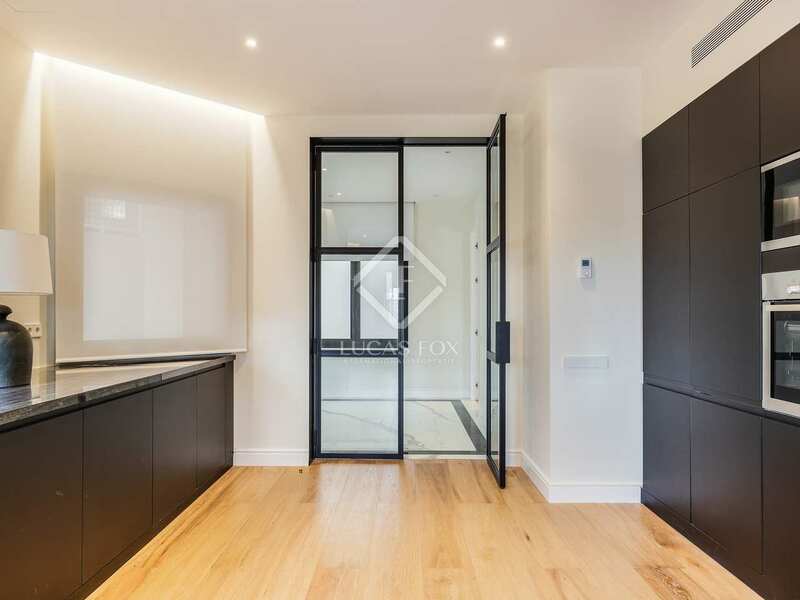 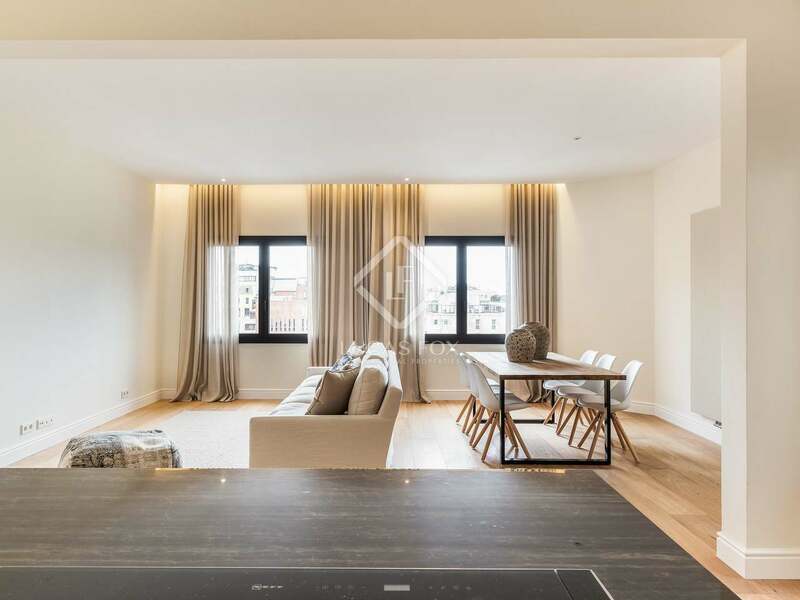 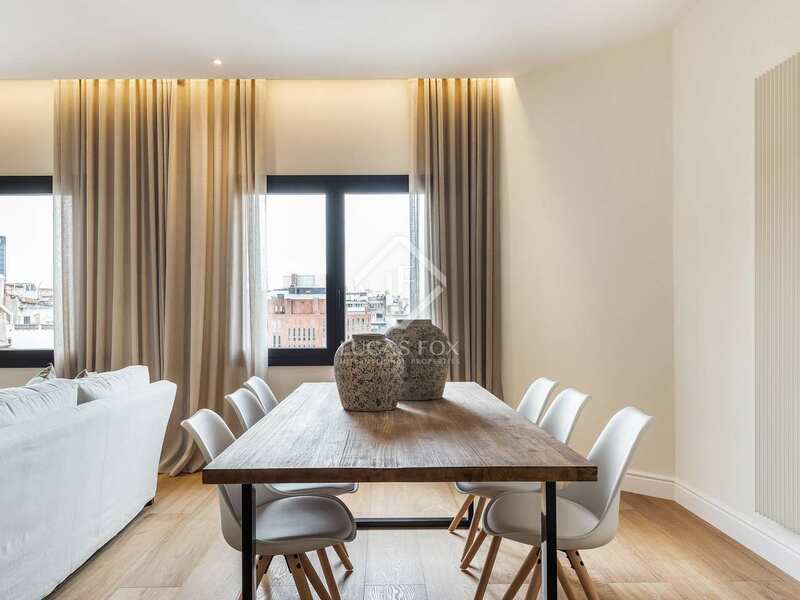 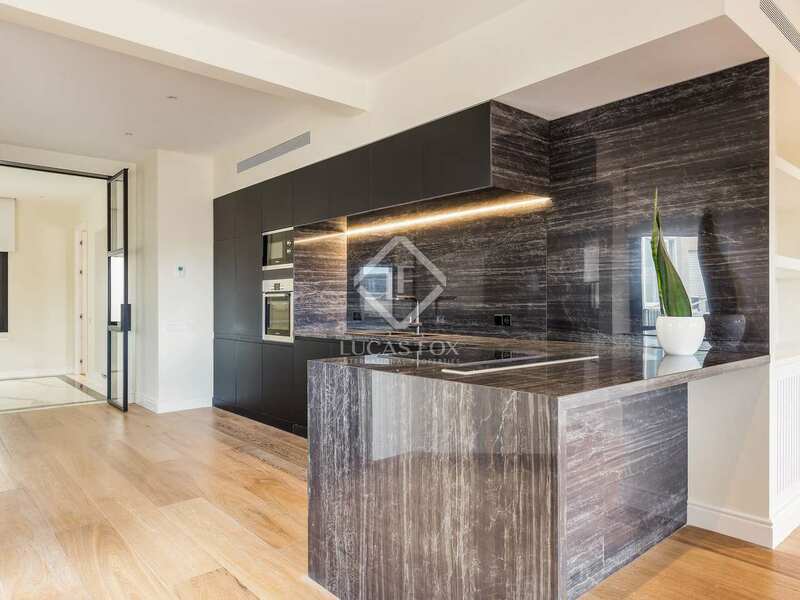 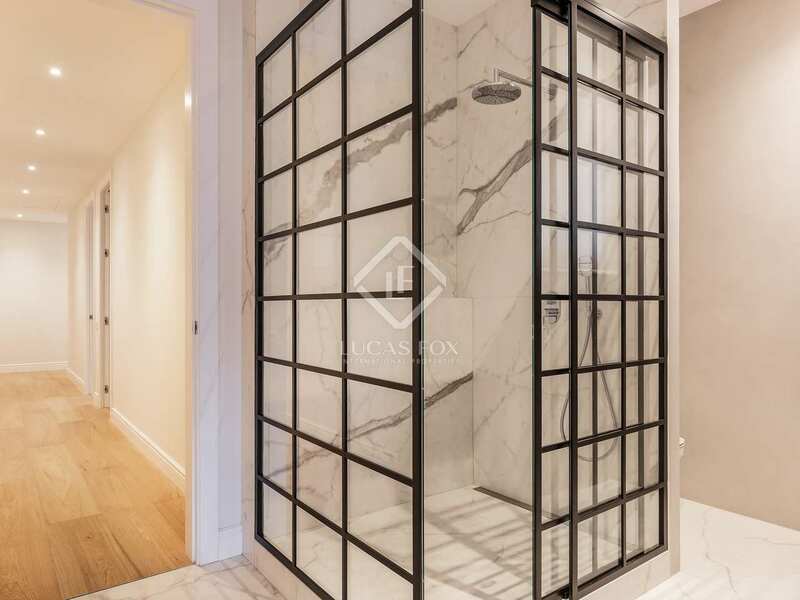 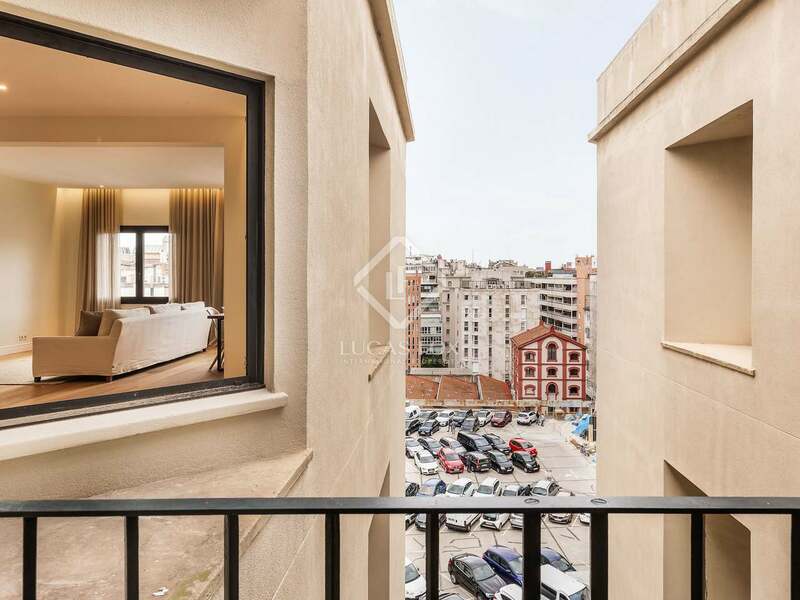 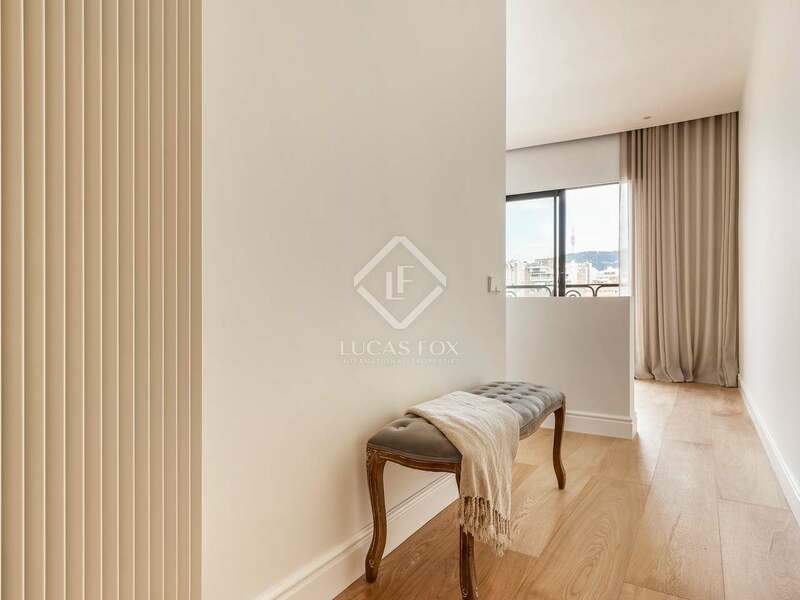 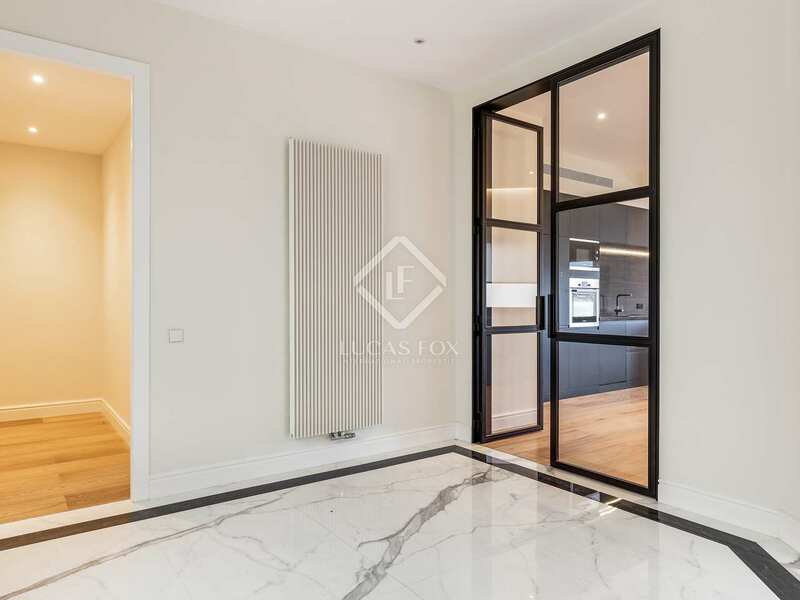 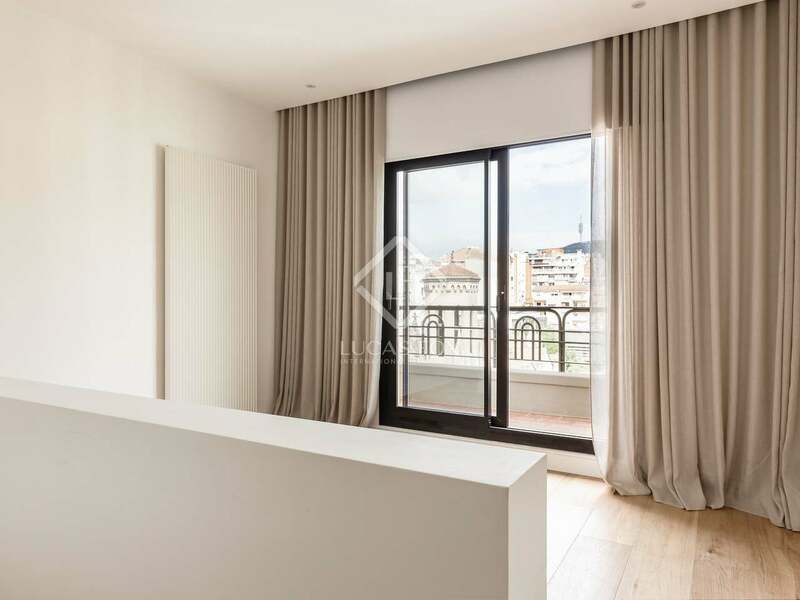 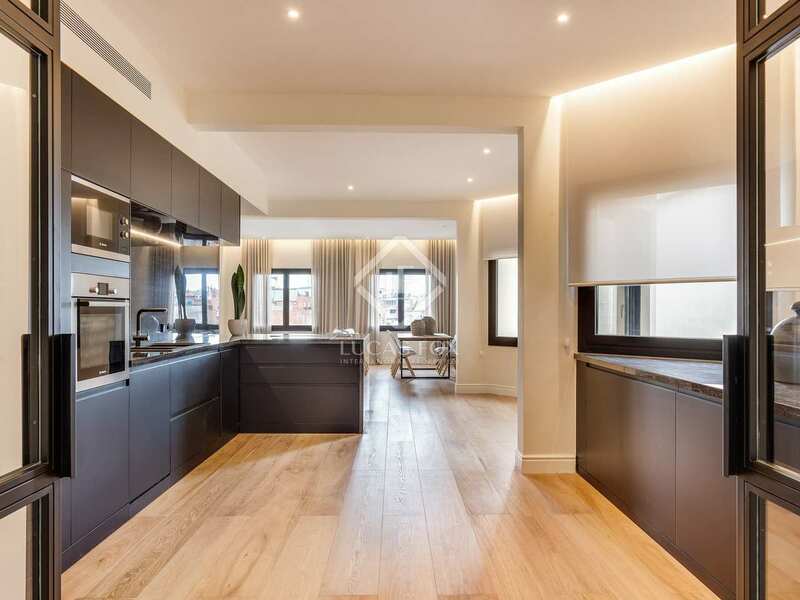 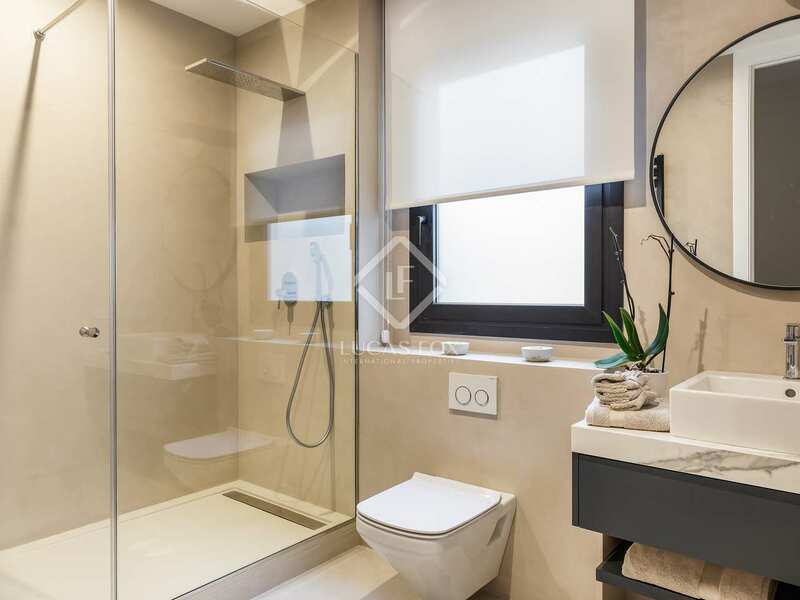 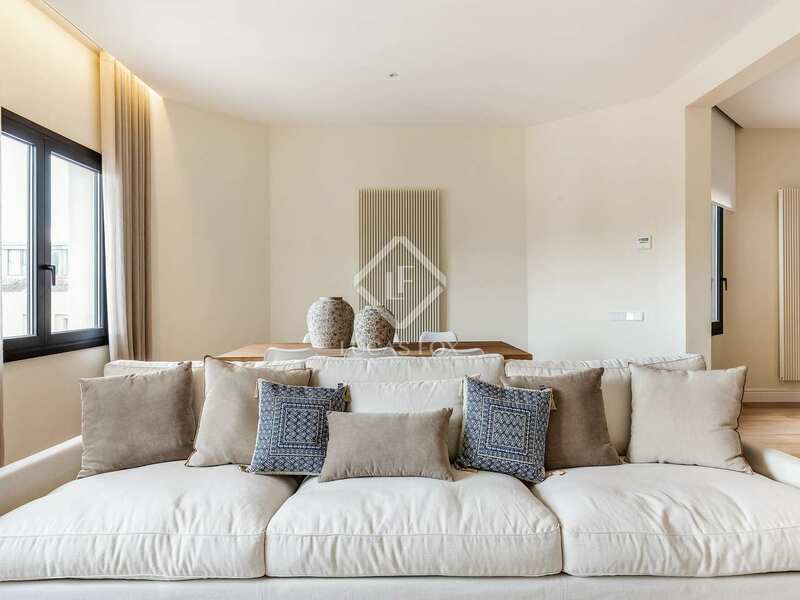 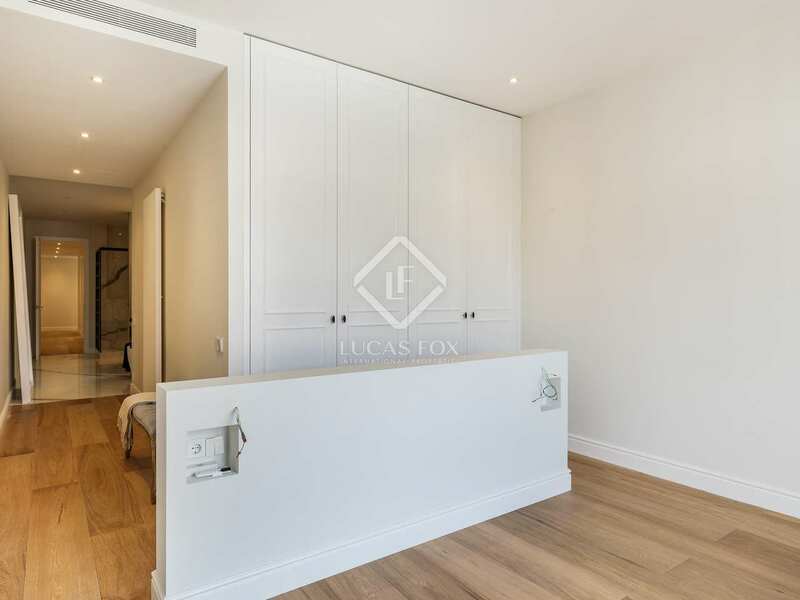 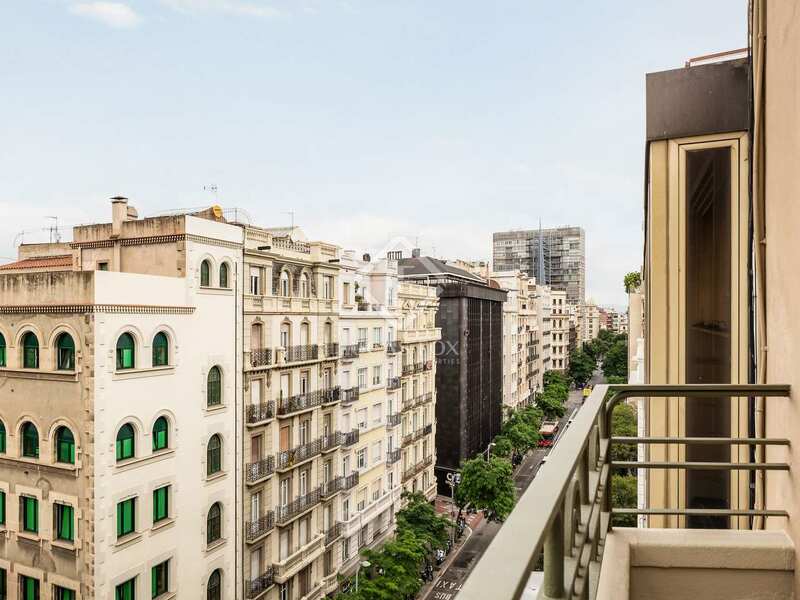 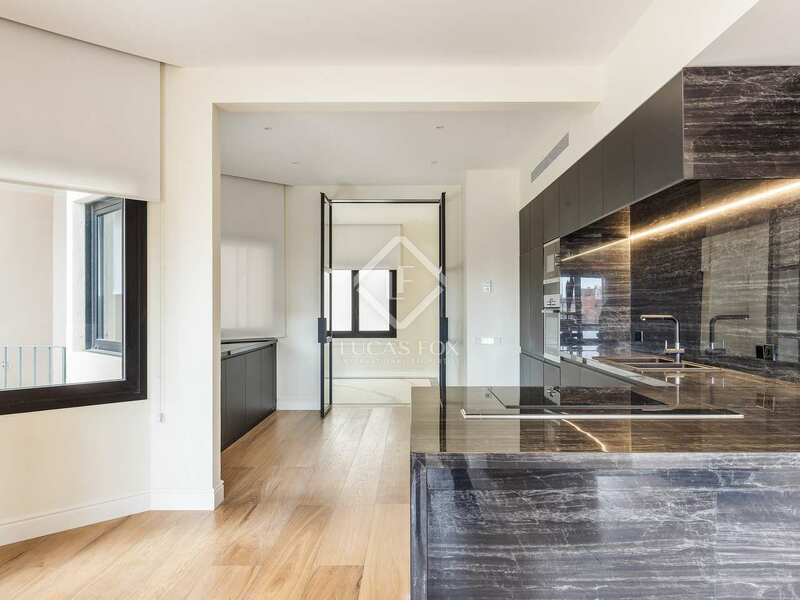 Impeccably renovated modern apartment of 161 m² with bright, open views and an enviable location near Avinguda Diagonal and Plaça Francesc Macià. 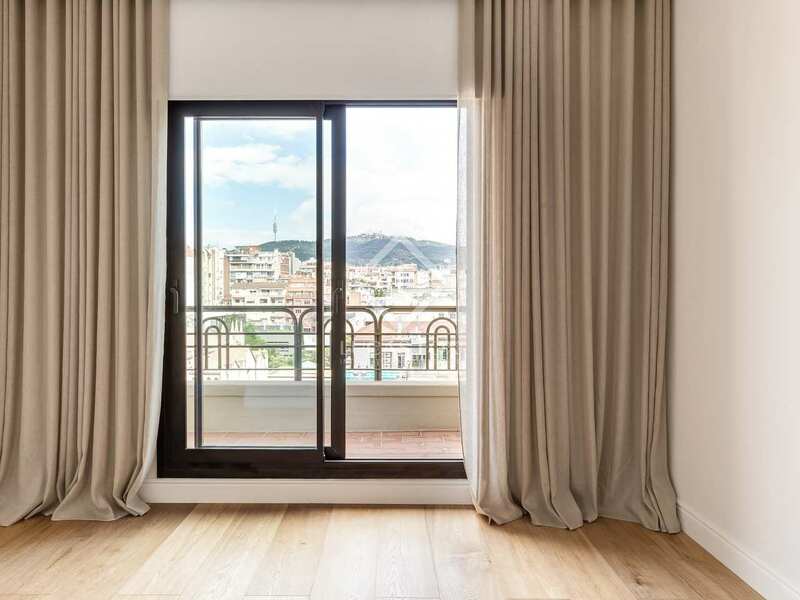 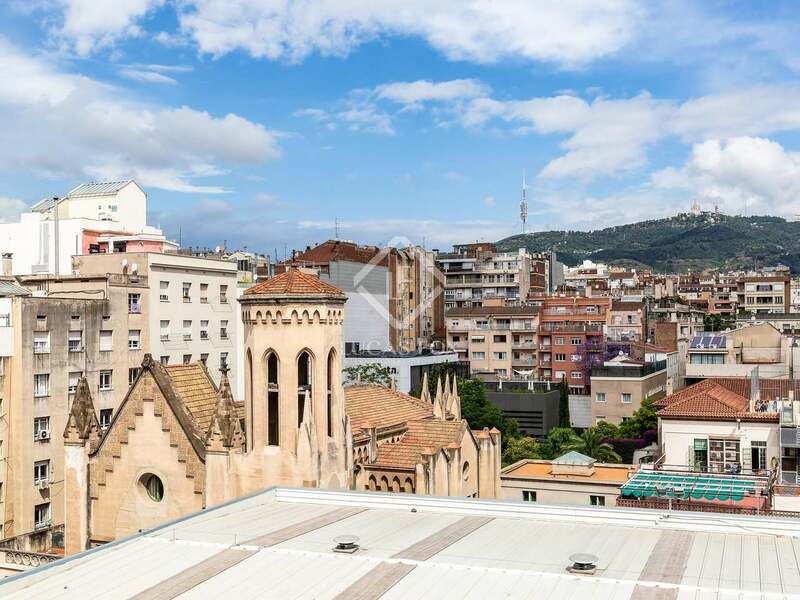 Outstanding, renovated apartment of 161 m² with open city views and an excellent location in the prestigious Galvany area of Barcelona, close to all amenities. 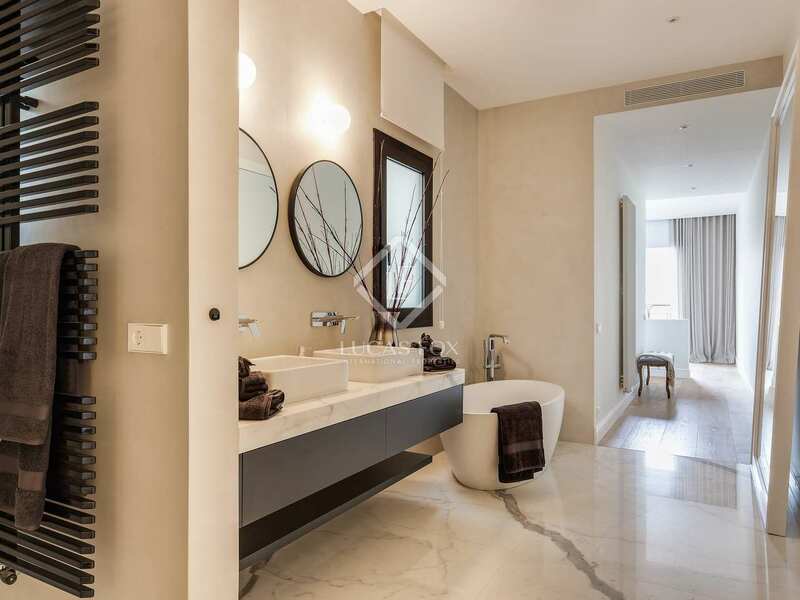 It is found on a high floor of a recently renovated stately building with a lift and a concierge service. 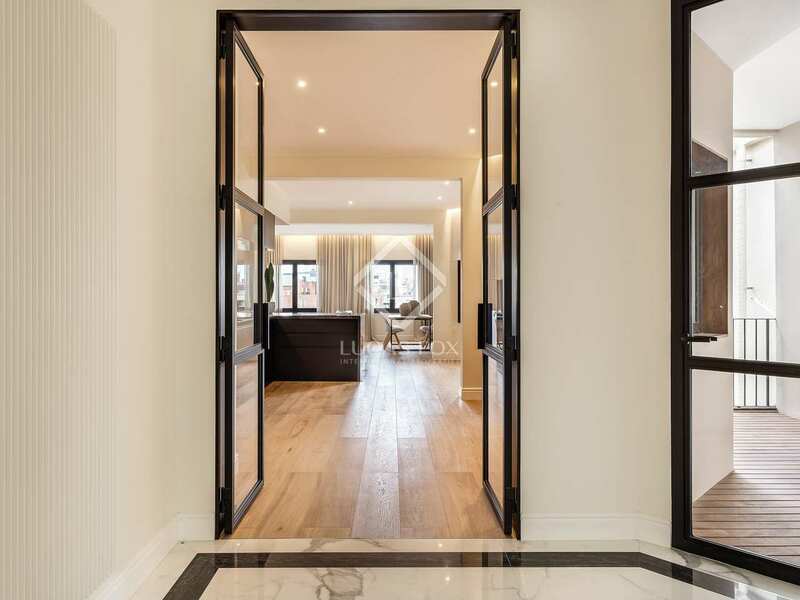 On entering, an impressive wide entrance hall takes us past a pleasant terrace and to the spacious, open plan living room – dining room and elegant modern kitchen. 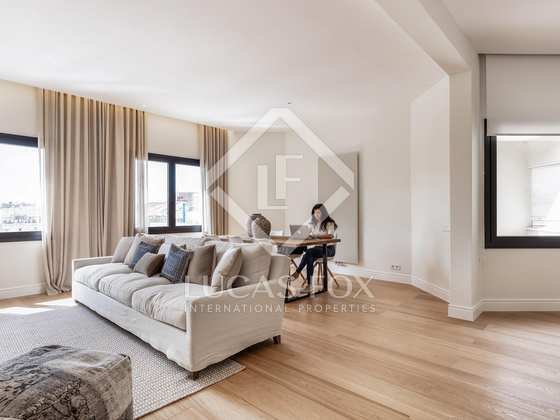 This space is bright and airy thanks to the free flowing layout, the high ceilings and the many windows. 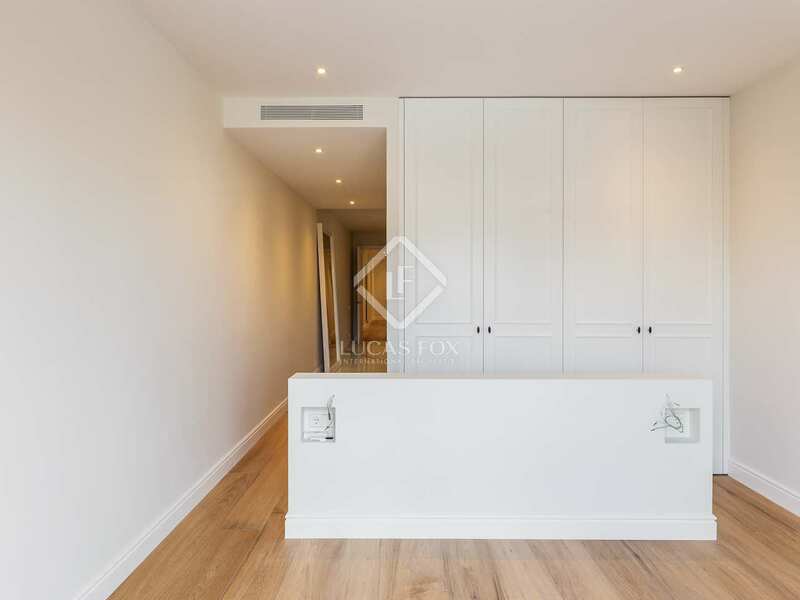 The night area consists of 2 double bedrooms which both have fitted wardrobes and share a bathroom. 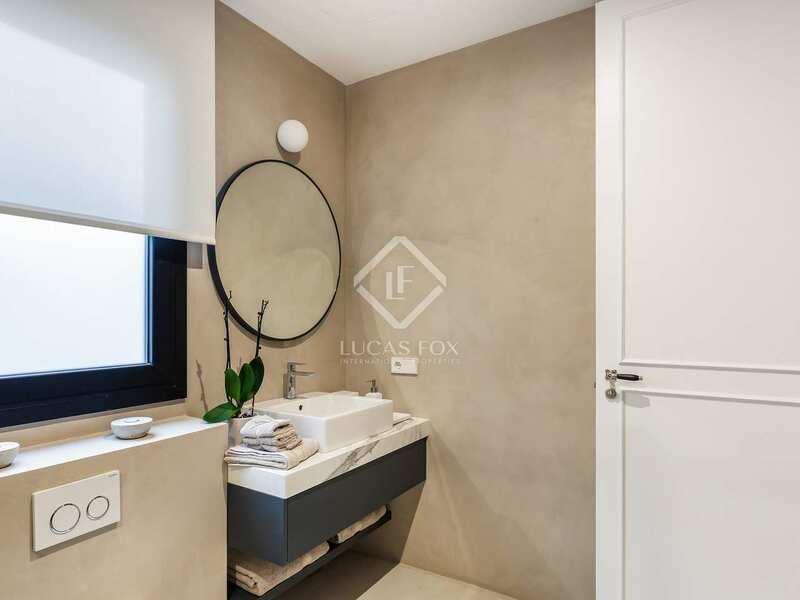 The third bedroom is a sensational master suite with a gorgeous private bathroom and a balcony with views of Tibidabo. 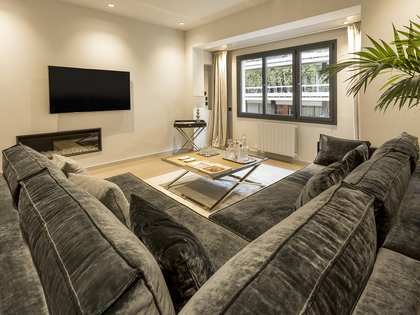 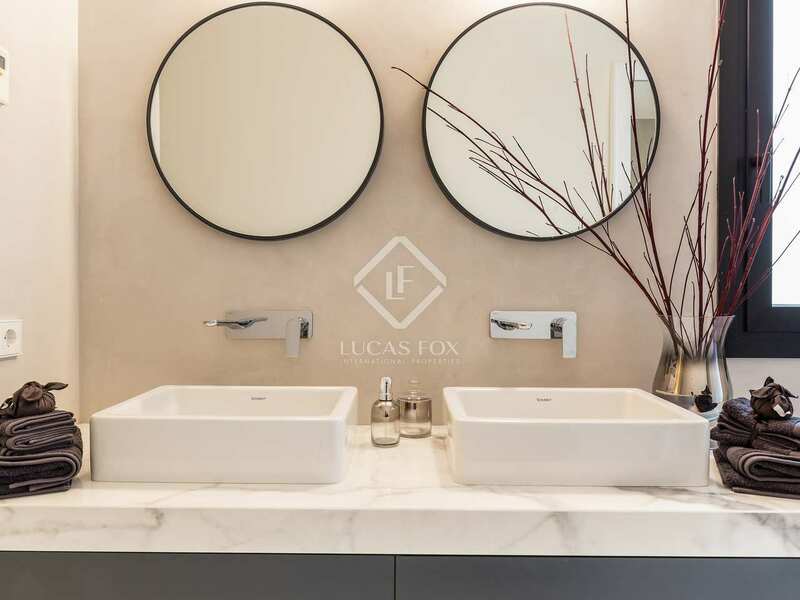 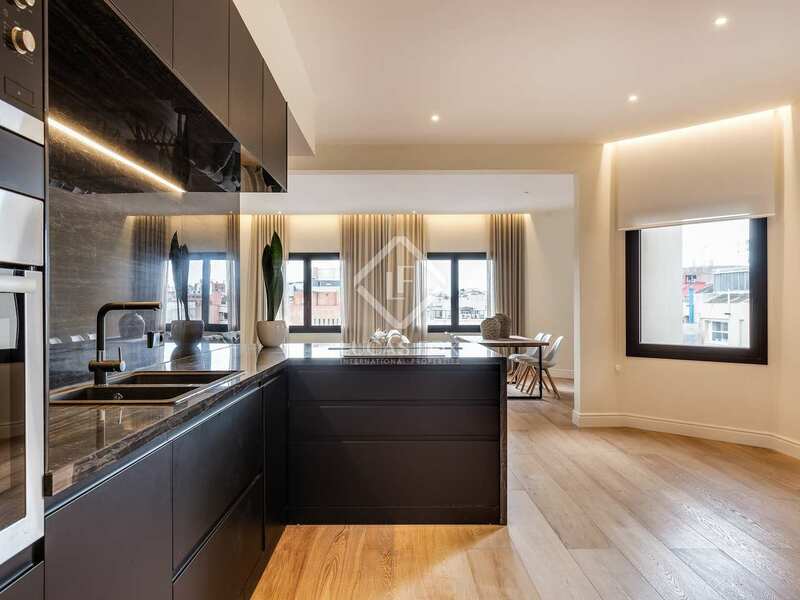 The apartment has been thoroughly renovated in an immaculate high-end style with the best quality materials and an elegant contemporary design. 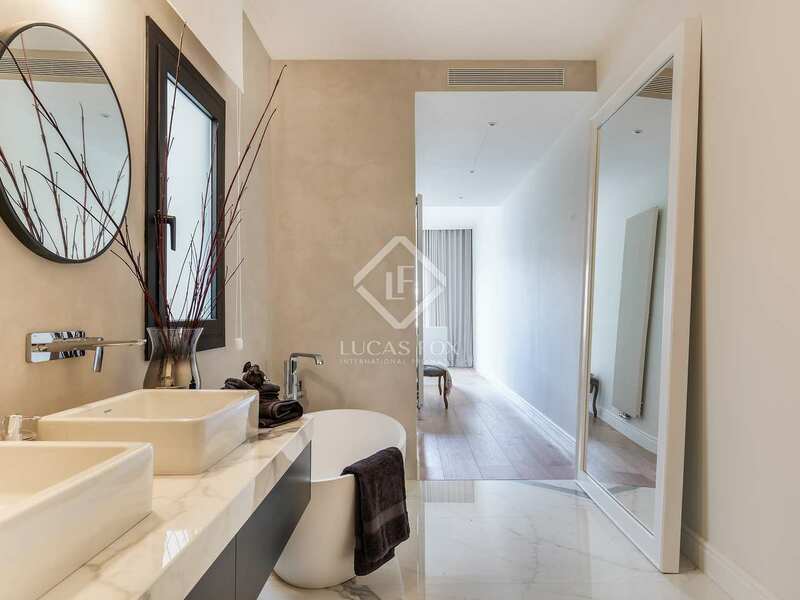 Wonderful opportunity to acquire a superb renovated luxury home in an affluent area of Barcelona City. 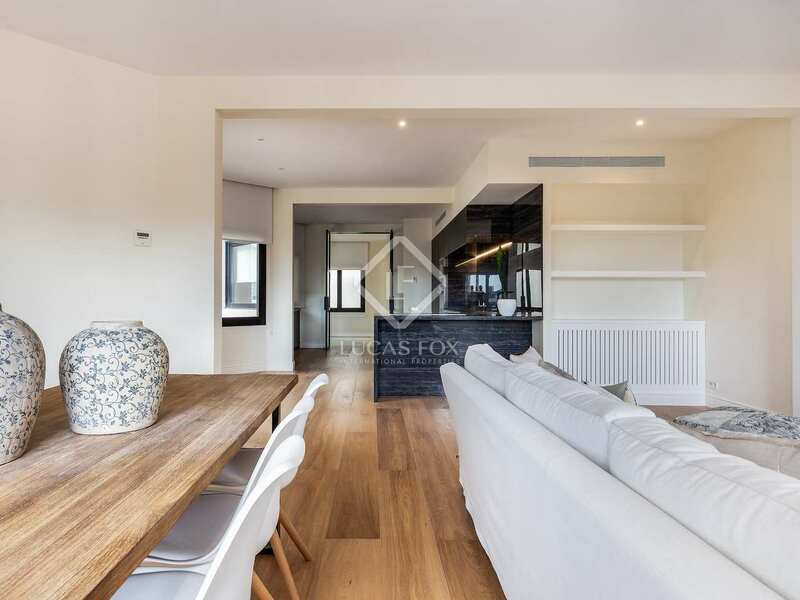 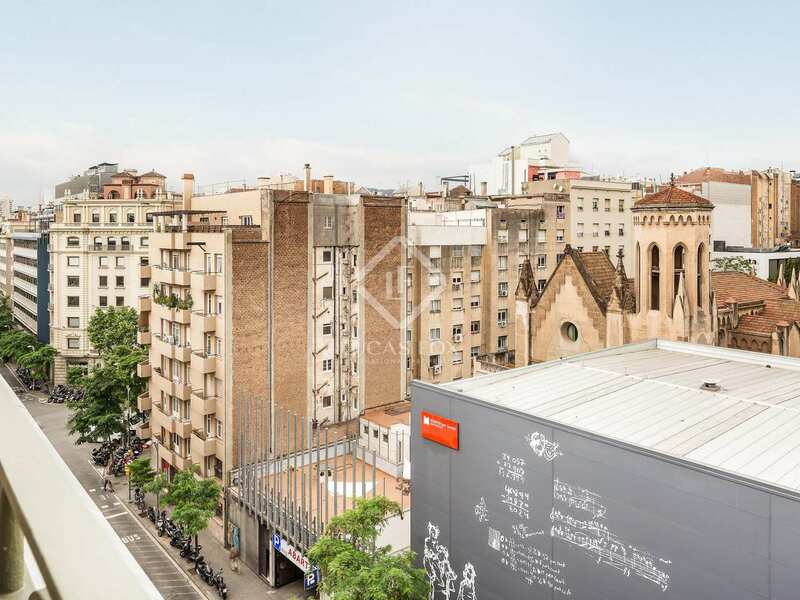 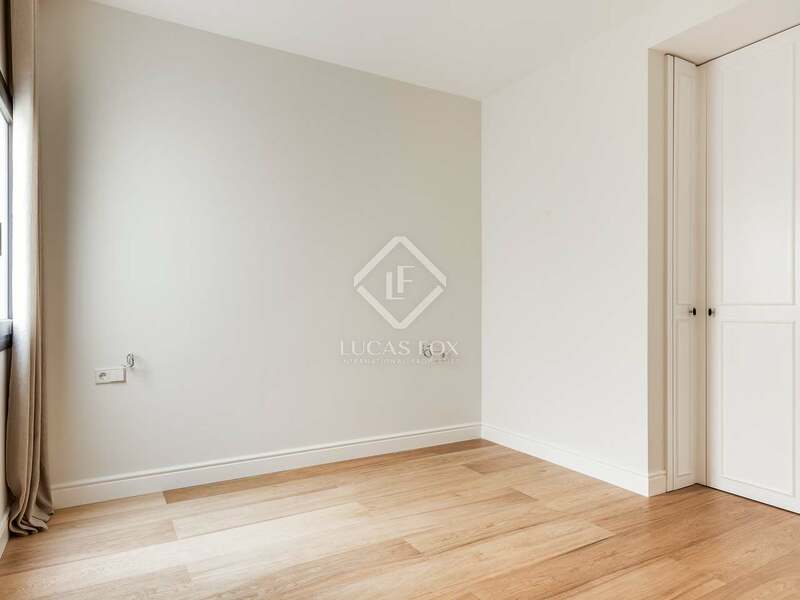 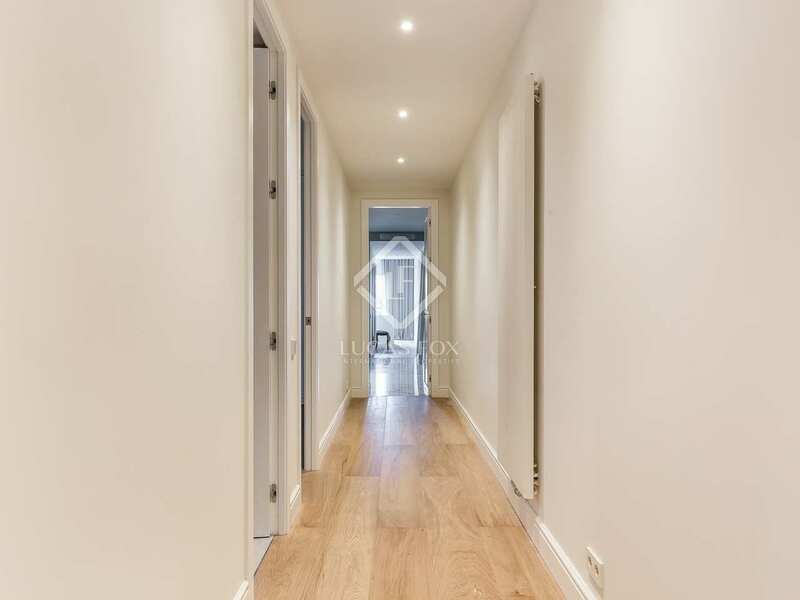 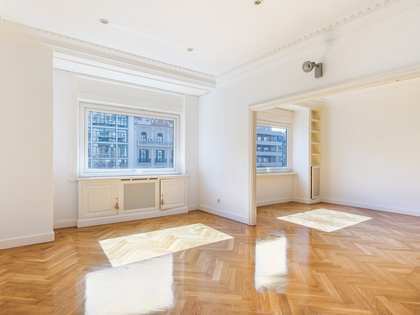 Spectacular renovated apartment located in the exclusive Galvany neighbourhood of Barcelona, just a few metres from Avinguda Diagonal, close to Francesc Macià and near all amenities.